Is James Cook University a grants machine or a research institute? Oona Lönnstedt has been prolific, writing alarming papers on microplastics, acidification, and reef degradation. But her work looks like a trainwreck. One paper has been withdrawn, in another it was “found that Lonnstedt did not have time to undertake the research she claimed.” She’s been found guilty of fabricating data on the microplastics study. Now Peter Ridd has pointed out that the photos of 50 Lionfish appear to contain a lot less than 50 fish. Images have been flipped, spun or “manipulated” so the same fish appears more than once. James Cook has done what any ambitious, money-hungry grant troughing institute would do, a very slow investigation of allegedly corrupt behaviour and a very quick sacking of the honest researcher who threatens to expose them. Any respectable Science Minister would freeze all grants to James Cook until this situation was resolved and reversed. Send your thoughts to The Hon Karen Andrews. Contact her here: karen.andrews.mp AT aph.gov.au. There is a crisis in Australian science. Who is going to fix it? 50 Lion Fish (or not). Click to enlarge. Fishy copies of Lion Fish. Click to enlarge. All Peter Ridd had to to was line up the shots in order they were taken. Peer reviewers didn’t do that. Starck says generations of ­researchers have been schooled in a culture wherein threats to the Great Barrier Reef are an unquestionable belief from which all evidence is interpreted. “She (Lonnstedt) got into the ocean acidification and global warming and the effect CO2 was going to have on the behaviour of marine animals and she started publishing,” Starck says. Imagine, hypothetically, that our academic grant machine was actively promoting the fakest science anyone can get away with when it comes to climate research. Where are the brakes? What stops fake science? Confirmation bias is a much bigger problem and much harder to spot than fabricated data. Who is even trying to put those brakes on? Lönnstedt first got into trouble with a 2016 paper on microplastics that showed that little fish ate tiny bits of plastics preferentially, and then their growth suffered and they were eaten by bigger fish. The Central Ethical Review Board in Sweden investigated was so concerned and declared it was research misconduct. UU’s Board for Investigation of Misconduct in Research called it fabrication. That paper was published in one of the two highest profile science journals there is — called Science. So much for peer review at top journals? The microplastics case has been called “outright fraud” and by Science itself. When Science demanded the data (that she should have archived) alas the only copy was on her laptop, which was stolen just after the request came through. How in-convenient? Dr Roche told the HES that Science should have retracted the report as soon as the authors failed to provide the raw data, “rather than waiting for the results of a lengthy investigation that only came months later”. But it was a “positive sign” that Science had published a letter criticising its policy, he conceded. Peter Ridd wonders why we give still her the benefit of the doubt? Ridd said given that Lonnstedt had been shown to have deficient data in other research, and given that there seemed to be evidence of modified images, it would not be wise to give the benefit of the doubt in this case. “Based on our understanding, it was not her intent for the collage to represent a picture of all of the lionfish she used,” they said. ­Rather, she was providing it as evidence “that she had lionfish in the laboratory”, the co-­authors said. Yes, sure. Because we were wondering if she had any Lionfish at all, not whether her 50 Lionfish were 50 different fish. Her co-author Doug Chivers says there is now a dilemma because Lonnstedt has gone off to Sweden and isn’t doing science anymore and doesn’t want to answer questions. Jo Nova says this is pretty simple, tell her she can pay back her salary or respond in full. She was paid to reveal all her methods and data. She hasn’t finished the job yet. This taints all research the institution puts out. How do we know that any news they announce is the whole truth — we must assume every result is put through the political filter and inconvenient conclusions or implications are removed. Which other employees of James Cook are concerned about this issue? If they don’t say, is it because none of them care or that those who do feel too intimidated to say so. (Since they are too scared to even use their official email accounts, we can assume they won’t be issuing press releases.) Either way, it’s systemic, it’s institutional and it’s not science. Though it took three rounds of investigations before Upsalla Uni got this far. (See page 8 -9 of the NAS irreproducability report. ) Critics need to keep pressing. James Cook says they are “committed to the highest standards of ethical research”. Concerns over Lonnstedt’s work were raised over a year ago in December 2017. It took until May for JCU to say it would establish an external panel of experts to investigate. And after a whole year they’ve managed to finalize the member list of that panel, though they haven’t even been formally appointed yet. Apparently the Great Barrier Reef may move before the investigation is finished. The Reef is under a dire threat but JCU is in no rush to get the science right. Or perhaps they are just waiting until there is a new Minister of Science who also thinks that science is just a grants-machine to produce PR excuses to screw more tax out of taxpayers? Likewise, the shadow Minister for Climate is The Hon. Mark Butler MP: Does he care that we may be wasting money fighting irrelevant battles based on dodgy research? Contact: senator.butler AT aph.gov.au. If the climate matters, so does climate science. James Cook University is a joke, and if they were serious about showing they care about ethical and rigorous research they would reinstate Ridd immediately and finish the investigation fast. Anything less is “business as usual” at JCU. Fake science. The Lonnstedt investigation hasn’t been done yet. But if she cares about the reef, and JCU cares about science, she needs to explain herself, asap. PS: I do hope people write to the politicians. As always, please be polite, no matter how angry and frustrated you may be. Please copy letters into comments as it may help others. hat tip to John of Cloverdale, Scarper, Barry Woods, Steve Hyland and Pat. 166 comments to Fake science on fake fish from James Cook Uni? Politics has no place selectively collecting “empirical” facts & no place in subjectively interpreting them. * this is not me being pretentious, it was from a book by a Doctor who was bucking an accepted meme – it struck a chord. It’s just an ideology/movement depending on science fiction to establish a policy based dictatorship of “nature”? We are getting political now. I am going to write to the politicians that Jo has identified and make my complaint. As a new member of the Saltbush Club it will be my first direct action. I hope others will do the same. JoNova readers are quite a large group. Gee, a red thumb already! Did you walk under a ladder? Thanks Peter. I do hope people write to the politicians. As always, please be polite, no matter how angry and frustrated we may be. Please copy letters into comments as it may help others. I’ve e-mailed Karen Andrews and got the automatic brushoff. I have also e-mailed Kim Carr but I have no confidence that he will do anything. Auto brush off is to be expected most of the time. Usually reply is received weeks or months later, written by a staffer. None the less your email has been noticed. It will be noticed a lot more if it is followed by one hundred others. My National Party MP doesn’t want to know. My emails are no longer acknowledged, previously automatically when received. I should have included that when I occasionally send an email to Tony Abbott MP, he is not my local member, they are always acknowledged. After he wrote in a Spectator Australia Diary that he had attended a lecture in Israel by Nir Shaviv I sent a congratulatory email and as well as the immediate automated response a week or so later I received a personal call from one of his staff seeking further information. We don’t want this fellow ousted by the work of Soros’s stooges. For a few years I was in Tony’s electorate while he was opposition leader. I put in a request to him and he and his office could not have been more helpful. After a change in boundaries I was back in North Sydney and the assistance I got there? A promise to do something and get back to me. Crickets. To get a response I think you have to add your address and say you are a voter in his/her seat. I get response from my member and I think he took notice when I urge him to vote out Turnbull but I think he voted for Morrison. No longer works for me, name, address and phone number. But I still receive National Party promotional material emails. It’s interesting that the two red thumbs are against people writing to their elected representatives. Clearly this is something the red thumbers do not want you to do. So do it. Left, right, left, right, halt! “South Australians may soon be banned from using a range of single-use plastics as the government considers a major crackdown. “There is a growing global trend towards doing away with plastics and Mr Speirs said it was important for South Australia to keep up. “Environmental groups, including Conservation SA, have welcomed the government’s move. “Despite this, the recent State of the Environment Report shows that per capita waste in SA still increased by over 40 per cent over the last five years,” chief executive Craig Wilkins said. Welcome to a world of reusable syringes and plastic gloves. Make sure your autoclave drone is on their game and add a prayer. Thanks Peter for the reminder.As for contacting politicians, I find it futile. Sending a note to Kim Carr or that Butler chap would do my head in. It would take a week to clean my very being out. If I were working in any field where my work quality was being questioned solely on the basis of [dubious] work practices of my fellow worker bees, I would want them to be quickly investigated and prosecuted if necessary. Why are there no cries for this to happen? Any responsible Minister should be demanding a full and open enquiry…where is he? Most or all of that money comes from taxpayers. Add that to the long list of why I detest politicians and their advisors! Sorry about that. I know better, but sometimes I just write what I think. I will preview my comments in future prior to posting. Surely Robyn Williams, the chappie from the ABC, will immediately be all over this? I believe he’s retired. In any case I think he would claim that the author was being persecuted deniers. The other day, when asked on ABC TV about James Watson’s (historic DNA researcher) racist opinion on black people said that people who are scientific experts in one discipline should NOT comment on areas they have no expertise in. Robyn Williams, outspoken supporter of Global climate change theory, only has an honorary doctorate in science and spent more time (by his own admission) acting than studying as a student. Hypocrisy in the ABC? James Cook says they are “committed to the highest standards of ethical research”. I’m going to guess that the word “ethical” is like so many other words these days and can now mean anything the user wants it to mean. It’s situational taken to its most ridiculous extreme. Someday you’ll generate science by random number generator. Then everyone will be happy and Jo can fold up her tent and go home for a much deserved rest. Or you can stick to your guns and fight but go nowhere in this rabbit hole under the hedge that Louis Carroll captured so well in a story so simple that no one understands it to this day. Chances are, Roy, you remember the video(s) of the “Turbo Encabulator”. If you have not seen these, just use the two words on a YouTube search, and the results will keep you in stitches for hours! That term “Turbo Encabulator” sounds vaguely familiar. I usually try to avoid signing in to anything on the Internet but I can get YouTube on my TV in the living room, courtesy of a very capable Blu-ray player and there I don’t have to provide name, email, etc. So today sometime after the noise of any sound won’t be a problem I’ll look it up and watch it. I can always use a good laugh. I intentionally worded it in meaningless way so the wise would understand. So far 17 green thumbs. Or are there children reading today? I confess that I think it’s 17 wise readers. It’s already been done, although the examples I remember were parodies to demonstrate what utter BS could get through peer review. Or it means the wolf is guarding the sheep…. IMHO, “ethics” is the attempt to create a quasi moral structure without calling it that. I agree its situational based. I look at society – stuff that was unthinkable years ago is sadly common now. Many societies , like fish, rotted from the head down. The fact we have a society that is 100% risk averse but also driven by globalist/Communist mindset of “the end jsutifies the means” means that unles syou have unwavering stadards, the rot will claim you where you stand. My thought is that our society does have a fair bit of the Nuremberg Defence as its motto….. So good. Worth a whole post for itself. Jo? We once exchanged email addresses but a recent message including you got returned addressee unknown. Please send me your correct email via email. PS: I agree with you. Being already lost also applies to any organization that has to ask you to fill in a survey, however long or short, about its customer service. Qld has a Public Sector Ethics Act which applies to all Educational establishments and specifically to all Qld. Universities. (I think Qld is the only State to have such an Act -other states and the Commonwealth have acts concerning public service employment and regulation which may not apply to Universities.). I wonder why no one has taken the VC and the JCU senators (ie the Board) to QCAT. I hope Prof Peter Ridd mentions the breaches of the Public Sector Ethics Act in his court case but I suggest it should have been done immediately as an adverse finding against the VC and senate would assist in full reinstatement plus costs. Ethics as we know it ended with the advent of the hockey stick IMO Roy. The high priests of CAGW had to invent a new type of science so they could avoid being held to the real and tested scientific principles of Feynman et al …..so Mike Hulme of Tyndall Centre came up with Post-Normal science… the latest iteration of which is proposed in this essay..
It’s really a wonder Australian universities can attract overseas students any more considering how enthusiastically they’ve embraced the new paradigm….but it seems to be pretty much the same worldwide …every institution …all governments except conservative ones… and conservative governments are soon made to bite the dust in favor of the PARIS candidate….as happened here in 2015 and in Canada. UK Conservatives had already sold their souls. Thank goodness for Donald Trump. So now it’s wall-to-wall left wing policymakers all protecting each other and making sure the pesky truth is never revealed. And until recently no Australian university would have a bar of study of the reviled Western Civilization on its campus….might dilute and detract from the Marxism follies. On the other hand John Cook…of the ’97% of scientists’ research and claims’ that’s been debunked-its findings disowned even by Cook himself when challenged…Cook was able to pose as well-known physicist Lubos Motl in communications with UWA ..espousing …as Motl…views that are anathema to Motl….with impunity. The 97% claim has a life of its own …is still used all over the world as argument against sceptics and last time I heard.. Cook was ‘teaching’ at an American university. Stefan Lewandowsky’s vile ‘research’ on the psychology of sceptics…likewise panned around the world… also found favor with UWA. But for all of the universities …Bjorn Lomborg’s belief in AGW wasn’t enough for him to be accepted by them because he wasn’t all in with the main game…which isn’t AGW . For the post normals the main game has to be CO2-induced CAGW because only then can the scam be used to control the world …to take the wealth from the well-functioning democracies to redistribute it to the dysfunctional despot-ridden often murderous Socialist dictatorships of the world…the Fabian dream come true. It’s only the CO2 alarm and lies that gives them the power to control and shut down resource countries and the functional democracies…the milch cows for the wealth redistribution. Australia is a very special case for them IMO….because Australia with conservatives in power would have put up a massive existential fight. We had to…still must….because Australia is the only 1st world country for which their plan means our demise ….the only country to be sacrificed for their cause. Other democracies will have their wealth taken as they dutifully install windmills and solar panels to go with their nuclear and hydro….but they’ll survive because they have those alternative energy sources…Australia …with no alternatives….won’t have any wealth left to BE taken…once the billions LW governments are committed to cough up have dwindled. Brookings Institution has done the numbers as this blog reported…and Australia is…as expected… the roadkill for the hoax…along with OPEC and Russia…losing wealth and jobs…and our security for sure..health…military…border…which are all dependent on wealth. No other 1st world country without massive run-of-river hydro or nuclear and/or connectors to countries with those energy sources… can survive without fossil fuel…and we can’t either. They really are demanding Australia commit suicide as a 1st world nation….to be 100% reliant on weather-dependent electricity and weather-dependent storage. Because PM Tony Abbott would never have allowed the destruction of Australia as we know it…and despite the will of the Australian people and his landslide 2013 win …he had to be politically assassinated and the PARIS candidate installed. It doesn’t seem possible that our policymakers are just dopes and dupes ..surely commonsense would have kicked in by now…and we DO know the Left have zero respect for Australian sovereignty and nation status…so it can only be that their allegiance lies elsewhere with the Socialist internationalists…in which context Australia’s demise means nothing…the CAUSE is bigger than us. We are in the fight of our lives…for our children’s futures…against the same old adversary …Global Socialism.. which has its best chance in any of our lifetimes of achieving its aim of total global control. A. No. We are deplorable. Handcuff time for all those Clinton elites named above. Looking at https://retractionwatch.com/ the extent of deception being perpetrated in the scientific journals is out of control. Science in many aspects is now more like science fiction. ‘Any respectable Science Minister ‘.. contradiction in terms… again! Has there been one that didnt follow the money. Dont think either side would have one they could refer to as respectable that didnt adhere to the scam of the century(s). Yes “science minister” is like the Ministry of Truth in the novel 1984. Governments of all persuasions are like leaches when it comes to money. It’s really no wonder neither major party is ever going to put on the breaks on “saving the planet” by way of cutting our emissions. Let’s face it; both political parties don’t have a clue as to how much damage they have caused and will continue to cause to this nation. It will end in tears unless we have a completely new party. “Someone stole my laptop” don’t you know. Q: One important issue in this affair was that the data behind the Science paper weren’t available; they should have been posted in an online repository, but that didn’t happen. You claimed that was because Lönnstedt’s laptop was stolen, and the data had not been backed up. Do you stand by that part of the story? A: The thing that happened there was that after the publication, there was a request for the data. I told Oona several times, “You have to send in the data and upload the data on the website or at [Science],” which I thought she had already done. But then that took some extra time, and then the laptop was gone. Q: Didn’t it strike you as an extreme coincidence that Lönnstedt reported that the laptop was stolen from her car almost immediately after Science requested the data? A: Yes, of course. And I also confronted her about that several times. She was devastated. She was sitting here in my office completely devastated about this computer. … We talked about it, and I thought it could have happened; I could not exclude that. But it seemed strange, of course. actively promoting the fakest science anyone can get away with when it comes to climate research. Where are the brakes? What stops fake science? Nothing. The money involved is too large. Fake-science is not science but an oxymoron and a means to an end. It appears to be condoned by “settled politics.” That the method/results will quickly fail replication and be discarded doesn’t matter, the Hockey Schtick proved that well. The underlying motivations of fakery are wide ranging and as we all know may well include self-interest, corruption and outright frawd. It is beyond conceivable that any bona fide researcher would not back-up their data multiple times on different hard-drives, literally scared to death of losing it, or having it inadvertently corrupted. Lap-top failure is quite common, much as a lap-top being dropped and damaged. Lap-top theft is much less likely. Universities usually auto-back up everything with quite short intervals between back-up. University departments usually have policies regarding the back-up of research data, data from research they are supporting and funding, not to mention the protection of data around privacy issues. Data is the jewellery of science. No one treats their expensive multimillion dollar diamonds in a cavalier fashion. JCU appears as culpable as the researcher in question. Its not money – its control, and Socialists love control. If the climate meme collapses, so does the UN and all the govts and socilaists that fawn over it…. Wrong Sir, it is both. As for the UN, I wish them away before next month. I hope Donald de-funds them soon. Did said author report the stealing of the laptop to the police ? MacQuarrie University’s `misconduct’ meeting about Dr Murry Salby should also be put under a Ministerial microscope and enquiry as well. There are `awkward questions’ there which demand answers. Some of the university rear ends there still need a good hard authoritative kicking about that. It would seem to have set the precedent(s) for JCU’s loss of ethics. Neither should be permitted to `get away’ with it. There’s no shortage of what to see under the microscope. After reading this document to its bitter end I’m nearly lost for words. It’s apparent that Macquarie University hadn’t done its due diligence before appointing Salby and had simply assumed that any professorial candidate would be fully compliant with the Climate Caxodoxy consensus. We’ll have no free scientific inquiry in this country thank you, is the message. Gives results before they’ve begun. but it makes you wonder if it is much more common for researchers to slightly fudge and massage the data of experiments they have done, to fit their environmental agenda. It’s since the 1980s big economic `cleanups’ around the western countries. Politicians were trying to make everyone everywhere `accountable’ and `productive’ (with one glaring exception). So the schools were worked over and finally the Universities. You can’t teach in a university now without a `research’ degree; it doesn’t matter if you are the world’s expert on what you’re teaching, you have to have a `research-based’ degree. That also means you have to do research, to `stay current’ and hey: in came PBRF or Performance Based Research aka PoP—Publish or Perish. This is the Great Corrupter [GC]. With PBRF, Tenure went out the window (from the top floor). 2. Repeat (1) until Money. 3. Spend Money Doing research. 7. Add to Performance Based Research check sheet of Publications. 9. Go to a conference and/or have a vacation. An Academic is supposed to spend 40% of their time researching, 40 % of their time teaching and 40% of their time applying for research grants. The main objective is not to be caught out. It’s wholly understandable. Politicians really are Idiots and should not be allowed to meddle in areas where They Know Nothing™. You mean like electricty generation? Indeed. The Pollies trapped themselves with their Gullibility. I’ve no sympathy for them when Australia finally works it out. None. PBRF = Performance Based Research Funding. Grants/Funding goes to those who are `successful‘ researchers and are publishing successfully. Success is counted by number of publications. It’s the GC or Great Corrupter. By the time the `successful‘ have been given their funding, there isn’t much left to go around those who are struggling to get on the ladder. Tenure is a `used to was once upon a time’ state. Don’t get enough research published after several years? Then “ … we respectfully suggest you look for a University where you might fit in better …” or cheat, but cheating carries a high price if caught. A few will always consider it’s worth the risk. The JCU researcher is one of the more intelligent ones: she worked it all out earlier than she was supposed to. Unfortunately for her and the University, she gave in to the temptation. I say make an example of the Pollies who foisted this system onto the Universities and the Universities for accepting it, really rake them over and dump the problem back in the laps of those responsible for it—the Pollies—then haul off and kick their rear ends hard until they come up with a decent and dignified solution. Move the researcher on, she wasn’t supposed to be found out but was. Too bad. 2. Repeat step 1 until they get it right! This will continue to happen while PBRF remains in force. So make an example of those Stupid™ Pollies. Let’s not forget the truism from Mario Puzo’s Godfather series that “politics is crime” and now that science is driven by politics nobody should be surprised at the Swedish researcher’s antics. Those of us who grew up post WW2 can only watch in dismay as post modernism mops up after its successful annihilation of integrity in all spheres of intellectual activity (mathematics excepted?). Great post Jo, well worth my customary 10. She’s not a Swedish researcher that I know. She did a PhD at James Cook UNI. It was the Swedes who “blew the whistle”. The locals at James Cook University launched the cover up. Corrections are always welcome; apologies for my carelessness. Seems she is more Swedish than researcher. I have been a member of a number of major international and national committees including the MRC Global Health Group ( chair) and the MRC Strategy Group. I was formerly chair of the Universities UK Health and Social Care Policy Committee and a member of the WHO Advisory Committee on Health Research. In recent years my research focus has been on the effects of environmental change on health and the impact of policies to adapt to or mitigate these changes. I was a member of Working Group 2 of the UN Intergovernmental Panel on Climate Change for the second and third assessment reports and review editor of the health chapter in the fifth assessment report. I chaired the Scientific Advisory Panel for the 2013 WHO World Health Report on Research for Universal Health Coverage. In 2014/2015 I chaired the Rockefeller Foundation/Lancet Commission on Planetary Health and I currently co-chair the development group for the Health Knowledge Action Network of Future Earth. I sit on a number of other national and international committees. Andy Haines, M.D., and Kristie Ebi, M.P.H., Ph.D. Uh oh….when it gets to this stage “to protect health”, you may have problems. It might mean that we arent far off that anyone who objects to the climate lie, could now be labelled as “insane” coz the medical industry says and skeptic is….. think about that for a moment. A group of doctors creating “morals”….. its a slipperly slope into climate-based eugenics. The standard Soviet method was declare dissidents “insane”, and lock them up in psych institutions … then use shock therapy etc until they lose their minds…. Oh good: that means Agenda 2030 will have lots and lots of poverty to free its victims from. It will give the Bureaucrats something to do. we pledge that no one will be left behind. But then extreme poverty is not ordinary poverty … it’s more sustainable. Uh oh. $%!t. Stop the world! I want to get off! To stabilize climate and get people healthy, the world needs to overhaul its diet and agriculture systems, the EAT-Lancet commission says. That includes less meat. 17 Jan: BBC: The diet to save lives, the planet and feed us all? Homo habilis or possibly Homo erectus was on a meat diet at least 1.8 million years ago. Homo erectus lasted at least 1.6 million years. They spread across to east Asia, South Asia and Indochina/Malay and crossed the sea to the island of Flores. Homo heidelbergensis ate meat for 400,000 years minimum in Europe..
Homo neanderthalensis ate meat for roughly 350,000 years while colonising Europe, Middle Asia and China. Mind you they probably ate their Greens as well. Yeah but this is becasue they consider animals higher than humans, its not about climate. This is a religious war – its globalist New Age pagan “Gaia” worship vs our society. I can just see it: we’re going to be rationed insects. Be hard to fit a cow in there. Even a miniature goat would be feeling the lack of space. But I’ll be (um, something) if anyone takes my meat away. It’s the old socialist revolution all over again, minus the shooting, and that may be coming soon. already in WSJ, Financial Times & Axios, and no doubt soon to be in all FakeNewsMSM. Davos time? America’s leading economic establishment has penned a Wall Street Journal op-ed (LINK) in support of taxing carbon dioxide emissions, eliminating other regulations and returning the resulting money to consumers in the form of a recurring dividend check. Why it matters: The increasing consensus among economists that the best thing to do with any money raised with a carbon tax is to return it to Americans is a significant policy marker as Washington debates to what degree, if at all, it will address Earth’s rising temperatures. What’s next: Ted Halstead, one of the lead organizers on the policy, said he’s confident the 2020 presidential election will focus around this plan and not the Green New Deal, even though the former is getting more media attention with possible candidates. Getting economists’ support is critical, he says. Survey shows charges on emissions could be popular if revenues are given back to citizens, find Stefano Carattini, Steffen Kallbekken and Anton Orlo. Late last year, ‘yellow vest’ protests erupted across France. One trigger was a planned hike in the price of petrol. Fuel-tax rises, now on hold, are part of France’s strategy to reduce carbon emissions by 40% from 1990 levels by 2030 and phase out petrol and diesel vehicles by 2040. Clearly, public opposition might hinder these efforts. We identified six options for spending the money raised… I’m sure they did. Can imagined futures of drowned cities and solar utopias help us grasp the complexity of climate change? Diego Arguedas Ortiz takes a look. What make the BBC think that more fiction will be a winner for them. Speaking of fiction – enjoy….hottest evah!!!!! ROFL!! Don’t need the fiction, start diving on the continental shelves which are currently under water and look for what was there before the tide came in 15,000 years ago … that’s the reality. Sea level is not going to get any higher. Family planning education and climate change risk management go hand-in-hand in Africa’s Sahel region, with higher temperatures and population growth in forecast. French electricity grid operator RTE on Wednesday called for the restart of EDF’s Cordemais coal power plants, which have been halted by a strike, as a bout of particularly cold weather looms. Workers at French state-controlled utility EDF’s Cordemais 1,200 MW 4 and 5 units went on strike on Jan. 11, to protest against government plans to phase out coal-fired power generation by 2022. The RTE said the shutdown of those Cordemais units, and planned and extended outages at EDF’s two 1,300 MW Flamanville nuclear reactors, had led to an unprecedented tight supply in the west of the country in the heart of winter. A 1 degree drop in average (French) temperature below seasonal level, increases power demand by around 2.5 gigawatts, according to RTE. Summary: The recently reported upward adjustment in the 1971-2010 Ocean Heat Content (OHC) increase compared to the last official estimate from the IPCC is actually 11%, not 40%. The 40% increase turns out to be relative to the average of various OHC estimates the IPCC addressed in their 2013 report, most of which were rejected. Curiously, the new estimate is almost identical to the average of 33 CMIP climate models, yet the models themselves range over a factor of 8 in their rates of ocean warming. Also curious is the warmth-enhancing nature of temperature adjustments over the years from surface thermometers, radiosondes, satellites, and now ocean heat content, with virtually all data adjustments leading to more warming rather than less. London, 16 January: Lord Lawson has announced that he is stepping down as Chairman of the Global Warming Policy Foundation, after leading one of the world’s top climate policy think-tanks for a decade. Announcing his resignation at a meeting of the Board of Trustees, Lord Lawson said: “Over the past ten years the GWPF has established itself as a prominent force in the climate policy debate. I am happy to leave it stronger than ever.”The Board of Trustees have now appointed Lord Lawson as the GWPF’s Honorary President. tsk tsk, you climate deniers. why on earth should she show you her data when all you would do would be to try to find something wrong with it ? My feelings might be hurt if contradicted. They find what the want to find or what they are expected to find. The “cause is so important” that data manipulations are justified you know. Over at Watsies they are giving it the full treatment. Calling the pseudo-science driving alarmism third world science is being generous. Medieval science would be more appropriate. Medieval science would be more appropriate. Mmmm. I think you’re being a little too harsh there. They claim tropical cyclones (which includes hurricanes and typhoons) are caused by Climate Change created by greenhouse gas emissions. Our modern scientific literature says it’s the solar wind which the superstitious probably haven’t heard of. So I opt for: Witchcraft — that means it’s more like, and certainly no more recent than, seventeenth century. Calling people `climate deniers’ and wanting to burn them at the stake is also very seventeenth century. They gotten past phlogiston, so not Medieval. James Cook University is bad, as evidenced by its treatment of Professor Ridd and now this. But James Cook is clearly not unique. Scandalous conduct seems to be the norm for Australian universities. I’m a bit lost. The picture of what I assume is the original print is a 6 x 8 totaling 48. The picture on the right which I assume is Peter’s copies are numbered up to 139. But also; if you had 50 fish and you took 50 photos, why would you need to mirror the pictures? To be a good scientist you need to be obsessively concerned with details. Peter Ridd who looked at the photos, and saw that they had been (generic term) photoshopped, is one such. How many of us would have done that .This is one of the features of the scientific method, that obsession with detail, which means that fraud is eventually caught. However, I’m more concerned that someone with a history of such behaviour was able to secure a position at JCU. Have they all gone troppo up there? The wet season is late and they are all tropo at the moment, but lets get to the chase, coral bleaching is caused by what? I’ll put this up as a teaser. No worries, the upshot being that strong El Nino causes coral bleaching because of sea level fall in the western Pacific. This has nothing to do with CO2 or slightly warmer water. The perp was a post-grad Ph.D student which means they paid JCU for the privilege. JCU administration appear infected with the Rainbow Cult ideology, much like most Universities. The climatism polemic is a well funded Trojan horse as we all know and will NOT be jeopardised. Nevertheless, one took pleasure in declining to attend an annual conference held last year at JCU. An email to the President of the academic organisation highlighted the appalling behaviour of JCU toward Dr Peter Ridd, former Prof. of Physics, JCU as the reason and a small one-man protest for not attending. Listen to Peter Ridd’s discussion of the crux of the crisis at JCU and in wider environmental science scientivism. The story about research behaviour at the James Cook University, published in the Australian and on the JoNova blog requires answers. 1. Was this an isolated incident or in fact the tip of an iceberg of research misbehaviour? 2. Why was the university’s response so tardy and inadequate? 3. Has the university done anything to improve oversight of researchers and their work? 4. Has the process for research funding been altered to prevent recurrence? 5. Why was professor Peter Ridd sacked for making legitimate comments and asking reasonable and necessary questions.? The marine ecosystem of the Great Barrier Reef is of interest to Australians and a legitimate subject for scientific study. But all this work is paid for by public money. We disserve truth and accountability. Will you act in the public interest? Excellent letter, Peter. We who foot the bill should all be sending letters, I think. Thank you for your email. This reply is an acknowledgement I have received your correspondence. I give priority to emails from my constituents in McPherson and seek to respond within a reasonable timeframe. If you are a constituent with an urgent enquiry please phone my electorate office on 07 5580 9111. If your email has been generated as part of an automated email campaign, I will note your views, however due to the high volume received you will not receive an individual response. If you are seeking an individual response, please email me from your personal email address and include your McPherson electorate address. As shadow minister for Innovation, Industry, Science and Research you may have some knowledge of this story. It appears that some research at the University does not meet expectations of scientific integrity and honesty. Professor Peter Ridd made some comments about the activities and actions of some of his fellow scientists. As a result he was sacked for un-collegiate behaviour! That was very disappointing to me and I hope that he is successful in his case against the university. Will you take this up in the parliament and ask the minister if she has taken any action in regard to the way that our money is spent on research at the university? The reason we won’t have a crash and burn is because Lachlan Murdoch is a chip off the old block, a kingmaker. He fully intends to orchestrate a win for the Coalition with a handpicked team. Interstingly, Fox in America is becoming more left wing by the day. It used to be conservative, but since the youngster has taken over, the conservatives have been shunted into pay channel where no one will notice them. Lachlan might be a king maker, but at the end of the day, he will change things to suit himself , not the nation. Gven the main parties are socialist now anyway, any outcome is likely going to be favourable to socialism. Ummm … its the silly season, even Sky News is running scary stories on the heatwaves gripping Australia. Not sure about the US, the youngster holds the reins and can determine the slant. He is more conservative than his faster and the only hope we have. Attaching Sky News to WIN was a masterstroke because its going free to air into the regions, a rival to the ABC’s misinformation. Tulip Mania had nothing on this! You can forget the US – they are heading for a complete collapse in the years ahead. The Democrats are standing fast and they now prefer the US crash and burn than not get their own way, which if they did it would crash and burn anyway. WIth people like Elizabeth Warren and Alexandria Ocasio-Cortez it’s almost a given. el gordo is that meant to be sarcastic? People like Lachlan Murdoch are small fry. We may not have our own deep-state but the US do and they are far more powerful than the likes of him. Murdoch is selling off his US assets and I sense a gradual withdrawal from America. Lachlan is heir apparent and is running the whole Australian operation and he’s almost invisible, but I’m confident he will get the Coalition over the line against the odds. The big losers might be the independents and minor parties in the bush. WIN launched a dedicated channel late last year in 29 markets across six states and the ACT, the birth of Sky News is politically strategic and commercially viable. Remember the incident from 2016 where another institute of first class science allowed a respected climate scientist to rip off hundreds of thousands of dollars by faking research ? $903 thou super and $82 in leave credits. No wonder they don’t want to rock the boat and come clean. Recently we read about an ex-student’s ‘fishy’ findings at James Cook University as written up by Graham Lloyd, in The Australian. This represents the tip of the iceberg of corruption and falsification of results which is rampant in Australian Universities these days. This student Oona Lönnstedt has been prolific, writing alarming papers on microplastics, acidification, and reef degradation. However her work ls a trainwreck of science. One paper has lready been withdrawn, in another it was “found that Lonnstedt did not have time to undertake the research she claimed.” She has been found guilty of ‘fabricating data’ to suit her purposes, on the microplastics study. 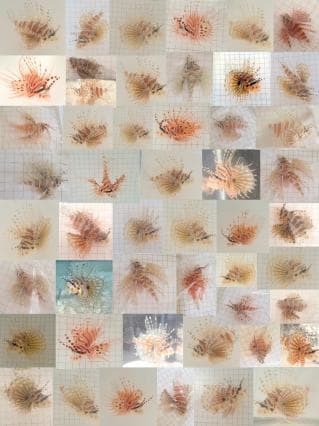 Now Peter Ridd has pointed out that the photos of 50 Lionfish appear to contain a lot less than 50 fish. Images have been flipped, spun or “manipulated” so the same fish appears more than once. James Cook has now done what any ambitious, money-hungry grant troughing institute would do, a very slow investigation of allegedly corrupt behaviour by the student investigator and a very quick sacking of the honest researcher who threatens to expose them, ie Peter Ridd. Any respectable Science Minister would freeze all grants to James Cook until this situation was resolved and reversed. Peter Ridd is a genuine scientist and Oona Lönnstedt is a fraud sponsored by James Cook University. Queen of the fairies. Oberon-the king. Fey, Fay. Faye,Fee. Mischievous little lasses at the bottom of your garden. Is the Pacific island nation of Tuvalu growing, and not sinking, as Craig Kelly says? Mr Kelly’s claim checks out. It’s worse than we first thought. Coal miners to blame for 2011 Queensland floods, says Australian Greens leader Bob Brown. 2011 Queensland floods that … “caused global sea level to drop by as much as 7mm”? Mr Bainimarama should be held to account by more than some commentator on a blog. River deltas, by definition, will stay above slowly rising sea levels. If the sea rises the silt laden flood water slows a little earlier and dumps it’s brown gold a little sooner. The farmer has fresh fertile alluvial soil. Also, by definition, river deltas flood regularly. You take the good with the bad. O/T……I have changed jobs and now instead of driving past the BOMs Woomera weather station in a seudo random fashion i can now see the BOMs Edinburgh weatherstation from my office window. The fun part for me is watching the aircrew get a P8 ready for flight with the turbine exhausts pointing directly at the weather station from less than 50 meters. Well of course. You do not expect them to leave the bulk of the day showing unusually cool temperatures when the “prudent” thing to do is to increase the whole record to reflect the obvious signs of CAGW that present themselves in sporadic 5 min intervals across a full day of flight operations. What kind of circus do you think they’re running? Was chatting with the chap who does my garden and mentioned the frequent BoM figures showing the minimum overnight temperature being higher than Mt. Barker. He was incredulous. “But that’s not scientific. Mt. Lofty is much higher than Mt. Barker (township)”. He further added that the temperature figures from the BoM had been “all over the place for years”. What? And miss a new heatwave? The adjustment will be to install an electronic thermometer to register instantaneous temp rises instead of mercury ones which at least have some latency. Theres so much fake research, fake publications, fake theories its well past out of control, or.. it IS controlled by the elite, total confusion reigns. To many generation X Y Z Milleniums are brainwashed with science fiction crap, due to films, games etc. and believe total impossibilities (then they get to become graduate researchers!). No real discussion, I often read articles that state total garbage in alot of areas (not just globul warming either!) Idiot ideas actually stated by people from science institutes that actually believe what they say has validity. Endless half truths. Sitting in all of this is the legal action brought by Professor Peter Ridd against the troubled JCU for unfair dismissal. Of course Prof Ridd was calling out what he claimed were poor quality and faked scientific studies of the Great Barrier Reef conducted at JCU. Seems now he has some very solid evidence of his claims. Um, NO! Science should never have published the report without first receiving, inspecting and verifying the raw data. At midday, the sunlit blue rubber flooring in the play area delivered a reading of 90C while the section in the shade measured 46C. Cloncurry Mayor Greg Campbell said he would like to see the State Government help pay power bills when there is a spate of unrelenting high temperatures. Ms Walton said she was not surprised to see records broken in the region. ABC’s Paul West (from Victoria) standing in for Ian McNamara on “Australia All Over”. (btw Macca never makes a thing of CAGW). 5min34sec in following song Josh Pyke’s “The Summer”. Barry Byrne just called in from Mt Isa. Byrne’s impression in recent years is wet season is getting later and later. ABC: run of 40 degree days. pretty oppressive. what is your tactic? Byrne: my tactic is to stay inside with the ***aircon. (ABC: smart man). Byrne: most people in Mt Isa have aircon in their homes; most businesses & offices have aircon; most people have cars have aircon. unless you have to be outside in the middle of summer, you can avoid the heat. ABC: a bit of aircon and you are laughing. Byrne says he gets fanmail from his appearances on ABC radio. Australian summer – bushfires, floods, cyclones, heatwaves – stay with ABC for news on the lastest threats. More proof these “scientists” have rarely been outside. Even on grass there is a distinct difference in temperature between full-sun and in-shade areas. Is this guy seriously thinking he’s providing new information? Or does he hate artificial surface, soft-surface, playground fills? For years my friends with children pushed to get the latest, safest, most fall-friendly materials installed in the playgrounds, no bruises or skinned knees for the children! (or at least minimal injuries) and now the warm-fearers are making noises against it? That might lead to an interesting battle – helicopter moms -vs- alarmists. I remember getting a right nasty burn on the back of my legs as a kid when playing on an old rubber tire swing, set up horizontally to hold more kids at once. Remember that the adults said not to play on it, it was too hot and sunny a day, too. Didn’t stop us kids, even the burns just slowed us down. We did put a few beach towels on the thing eventually, but several of us sported blisters for a few days. This was back in the 1960s, so it couldn’t have been global warming – just a plain old hot sunny day in summer. She was not the only one delivering Fake Science. They cooked the data to fit their theory! “We measured radiation in the form of infrared energy. Then we controlled for other factors that would impact our measurements, such as a weather system moving through the area,” says Feldman. Two winter storms are expected to hit the Midwest and Northeast. In the Midwest, Des Moines, Chicago and Omaha will begin to see heavy snowfall Friday evening and into Saturday, according to forecasters, who also warned of potential blizzard conditions for parts of Illinois, Ohio and Indiana. Further south, Wichita, Kansas City and some other Midwestern cities will get slammed with a mix that could include sleet, snow and freezing rain. Icy conditions could impact travel, meteorologists said. Forecasters said they are eyeing a possible ice storm in New York ***when temperatures drop from 40 degrees on Sunday to the single digits by Monday morning. This rapid change in temperature paired with what’s left on the ground from snowfall could lead to what meteorologists are calling a “flash freeze” hitting much of the Northeast and causing dangerous travel conditions. The latest U.S. Drought Monitor report shows improved conditions in California after a series of storms. The update released Thursday shows just over 92 percent of the state ranges from abnormally dry to some level of drought, mostly of moderate intensity. Be on guard, Bill Shorten has announced today that a Labor Government would hold a referendum to change the Australian Constitution if elected this year. Many politicians dislike the checks and balances contained in constitutional law and this is a major objective for change via the push to create a republic, an excuse to alter the Constitution. For example, after signing and ratifying the UN IPCC Paris Agreement during April and November 2016 a National Energy Guarantee legislation was proposed and hidden in the terms and conditions made emissions reduction law. No government could ignore the law and would need to repeal the law via Parliament. I understand that foreign treaties cannot be enforced in Australia, our laws only apply. But cunning politicians have allowed by cooperating with implementation of UN Treaties, other examples are Agenda 21 and Agenda 30. They get away with it because the government and the opposition agree to allow it and do not explain it to the people. The Turnbull Government also considered how to quarantine politicians from prosecution for breaching constitutional law. Long before he entered Parliament Mr Turnbull established the Australian Republican Movement and is on record saying the Constitution is badly flawed in his opinion, and needs to be changed. French President Emmanuel Macron is also skipping the meeting as he seeks to respond to the “yellow vest” protests, while British Prime Minister Theresa May battles to find a consensus on Brexit. The low turnout amongst major Western leaders may also give more prominence to political personalities who may otherwise be upstaged. Davos will be the first major international outing for Brazil’s President Jair Bolsonaro, elected on a wave of anti-establishment and conservative nationalism also seen elsewhere. In three more days termination proceedings could start against those public servants furloughed. Trump would hardly feel any compulsion to play nice, I wonder if he is counting the days? Trump would hardly feel any compulsion to play nice, I wonder if he is counting the days? He could be. One of his goals was to reduce the budget by reducing the bureaucracy; this is a perfect point to get some serious firing done. Entire “non-essential” bureaus could be gutted. But it might cause a furor – all those out of work ex-federal employees jamming the unemployment lines, not buying new cars or second homes, maybe even losing homes. Hope he starts at the top of the pay-scale. Time for the unessentials to see what the rest of the US suffers when bureaucratic rules make businesses down-size or close as profit margins shrink to nothing. And it would as a warning to those bureaucrats that remain – you might be “essential” in a shutdown, but now there are experienced out-of-work bureaucrats looking for a job, and they might decide to go for YOUR job, heh. why isn’t this story at the top of all FakeNewsMSM worldwide? no – it’s all about Michael Cohen poll rubbish instead. The Department of Justice’s Bruce Ohr claimed he repeatedly said information was not verified, risked bias, and had been obtained under political circumstances. The Justice Department official’s testimony raises new doubts about the bureau’s honesty. All of a sudden some smoking guns come into view. Somehow or other the BBC allowed a TV report on sea life thriving round the island of St Kilda, abandoned by humans over 70 years ago. New coral growth, plenty of sea bottom life and lots of swimming creatures. Not at all. This is propaganda from the BBC to show that removing humans will allow lots of life. Now, if they were to show a TV report showing that removing wind turbines would save more birds and bats, you can be sure all hell would break loose. What to do and how to do it? I live on the coast Greenwell Point(2540), according to BOM we have a weather station here, I got suspicious when I realized that it was reporting the temperatures from Nowra some 20 km inland. Nowra always has temperatures about 3 degrees above what we experience as we get sea breezes Nowra does not. I went looking for our weather station, I asked around, Some remembered seeing it. It had been moved around, the last known site was on the Warf right at sea level with all that concrete and reflected heat. It’s not there now! But BOM is reporting Temperatures as recorded at Greenwell Point, so I cross checked and you guessed it, they are EXACTLY the same as the entire weather station reports from Nowra (2541)! Wind speed, barometric pressure, rain fall the whole works!!! Is this just an oversight, is this some way to confuse the public or malfeasance? They have no shame and no fear of being sprung either. Anything to protect their jobs. I double checked, BOM reports from several sites in and around Nowra(2541) Guess what despite some significant height variations the all report EXACTLY the same weather conditions! It’s cheaper only having to supply and monitor the one station. But it says a lot about the respect that politicians have for the serfs. It really is amazing what errors one can find with the BOM data recording process. I just found out that Greenwell Point(2540) is 18M above sea level! We have fishing boats moored with very long mooring lines and long ladders to get ashore! I just found out that Yowral(2540) although at 250M above sea level has EXACTLY the same Barometric pressure, temp, wind speed rainfall, dew point, as Greenwell Point. We had a thunder storm around 9pm lots of rain yet Graph shows almost non(8mm) of it, I had local flash flood 10cm of water in my courtyard! Courtyard has 4X30cm drainage pipes, it took 20 mins for them to remove the water!!!! In other words the BOM has rubbish in, no wonder they produce such rubbish weather forecasts! What first raised my interest in the anthropogenic global warming debate, was not so much, is it happening, but why is the media taking a firm side on this issue and using their full bag of subjective tricks to convince their viewers of an imminent catastrophe. Why are the, once respected, institutions at the heart of this deception? So you start to peel back the layers and you find the whole argument for anthropogenic global warming is laden with deception. The list is very long. From media the publishing untruthful headlines, with out retraction. To misapplication of scientific methodology. To deliberate manipulation of data (refer: this post). To closing down the other views. To the classic manipulation of the use of emotion over reason. The main advocates of the horrors of anthropogenic global warming, do not come across as rational human beings, but as postmodern nihilistic evangelists of the apocalypse. Which is far, far more scary than any CO2 molecule. Oona Lönnstedt’s name appears on 35 papers as an author. It is quite likely that most if not all of those papers will have to be retracted. Those papers have been cited some 700 times. Why can’t those 700 papers be retracted until they are peer-reviewed again to see if they relied on any of Oona Lönnstedt’s work? If only she’d kept a lower profile. Makes me wonder how many others have. Oh, yeah, and don’t you dare expose the charlatans, or you put yourself at considerable risk.